Sports can be a cynical pursuit, so it’s nice to see a story that seems to blow through all that – at least for a little while. By now, most readers are aware of the fact that Toronto Maple Leafs goalie Garret Sparks picked up a shutout in his debut. He subsequently became the first Maple Leafs netminder to accomplish the feat and it couldn’t have come at a better time. In broader terms, Sparks became the 25th goalie in NHL history to earn a shutout in his debut and just the seventh since 2000 to do it. 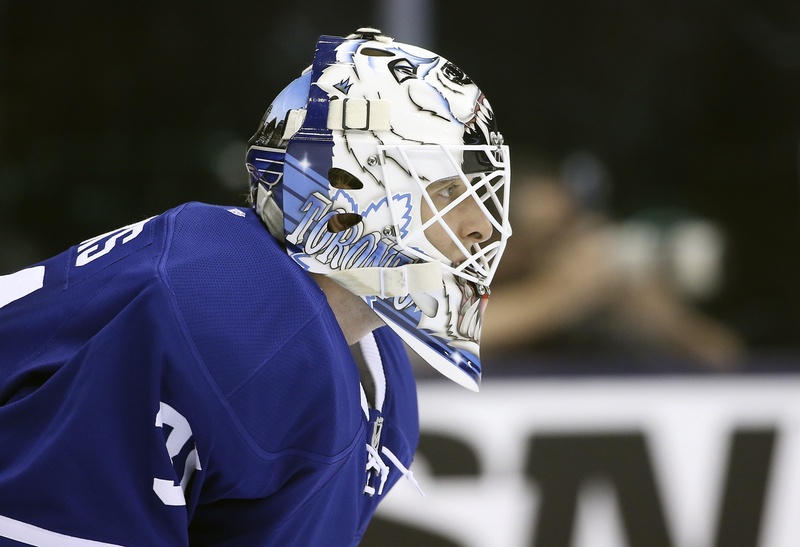 The story was exactly what the Toronto Maple Leafs needed, what with Jonathan Bernier’s less-than-stellar play and the injury to James Reimer creating a few difficulties in the crease. Sparks may not be the saviour of the franchise, but he gave the team and their long-suffering fanbase a much-needed moral boost on Monday night. Sparks was recalled from the Toronto Marlies on Saturday and was given the nod for the start by head coach Mike Babcock after Bernier disappointed yet again against the Washington Capitals and fell to 0-8-1. In that win, however, was a great story about a kid fighting his way up from the Orlando Solar Bears in the East Coast Hockey League. In that win was raw emotion, something not often seen in the guarded NHL. And in that win was something historical, something intangible in the long-shot glory Sparks brought forth on an average Monday night. These are the stories that make up life, the surprises that make things about more than just numbers and pools and arguments in social media comment sections. But reality in all its cynical glory will be back soon enough, don’t worry. Sparks may well go from a history maker to the netminder of the Marlies again before we know it. Babcock says he’ll get the start if Reimer still isn’t ready on Wednesday, but nobody seems to know how that will go at this point. For now, it might just be best to sit back and enjoy the moment for what it is. And something tells me that’s exactly what Garret Sparks is doing.